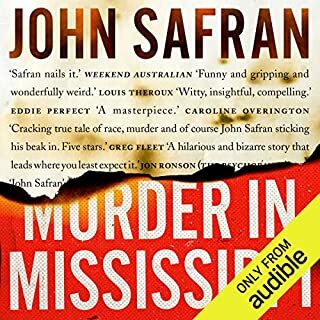 I love true crime and when I saw that John Safran had written a true crime novel I had to grab it! I have followed John Safrans career since the beginning and this book didn't disappoint. His signature humor, candour and perspective are as always, at the front of the book. His dedication to keeping this book about the crime and his investigation is the other key factor in this books success. The fact that John Safran also reads it just added to my experience.